For sure, this is one of the most elegant beach clubs on the whole island. Despite the genuine hustle of Seminyak, here you can feel yourself relaxed and chilled. 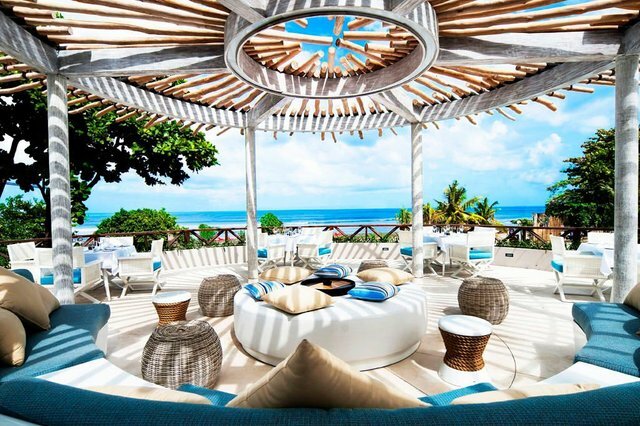 Snow-white interiors with inserted wooden blocks, canopy beds, broad umbrellas with fringe and a stylish lounge-zone… You can lay under the rays of the Sun and take a sun bath, drink a cocktail, or flip through a magazine till 16:00. Towards evening the DJ takes his place at the controls, donut-shaped rubber rings are thrown into the pool, and the club is filled with squads (most of them are Australian “preppies”, who come to Bali on their vacation). Fun reaches its peak on Fridays and weekends; on Sundays there are famous Splash Sunday parties, which bring partiers from the entire shoreline. 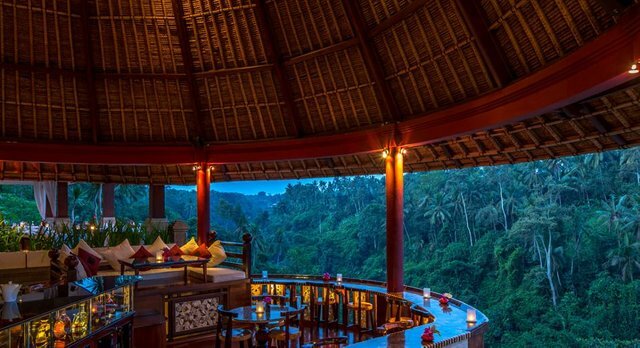 This restaurant situated in The Viceroy Bali hotel is one of the most famous places in Bali. All because of the terrace from which you can have a mesmerizing view of picturesque rice fields drowning in tropical green. On the menu are the most expensive and luxurious dishes the chefs can manage to create: caviar, foie gras, Angus beef… But you can also have dishes from Bali Kitchen. It is hard to focus on your plate when you are surrounded by such breathtaking beauty. The audience here is impressive – well-off Europeans in their late 50s, movie stars hiding from paparazzi, and Indonesian billionaires.